Belltech designs and builds their Truck Anti-Sway Bars for performance, control, stability and comfort. Properly designed sway bars are one of the most notable improvements you can make to your Sport Truck or SUV. These sway bars are vehicle specific, not only for fitment, but to work properly they must match ride heights and spring rates. 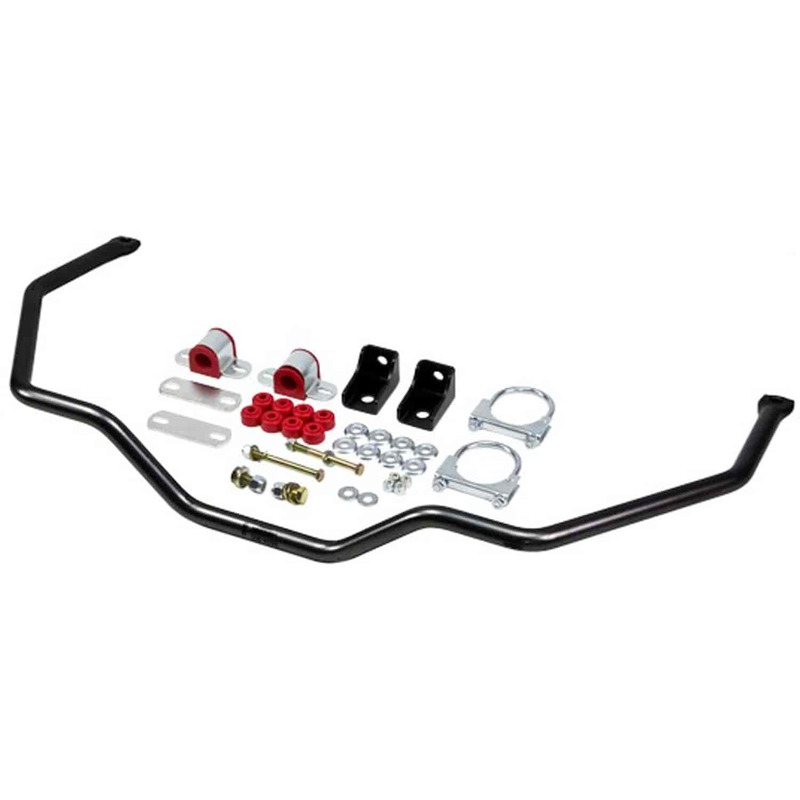 Incorporating 20 plus years of suspension design experience, Belltech Truck Anti-Sway Bars are designed to improve handling and steering response by minimizing body roll while not affecting ride quality. Belltech's Anti-Sway bars are manufactured from cold formed solid steel and use swedged ends for their superior strength and reliability. All Belltech anti-sway bars include high grade mounting hardware, polyurethane bushings and are powder coated for a lasting performance and finish. Does Belltech 5524 fit your vehicle? 5524 - Belltech Truck Anti-Sway Bars is rated 5.0 out of 5 by 1. Rated 5 out of 5 by Thom17 from Great Sway Bar What a great product. I bought this sway bar for My GMC Jimmy to control excess body roll caused by a 2" body lift. This bar did the job, now my Jimmy feels stable in a turn. The kit was easy to install, took less than a hour.